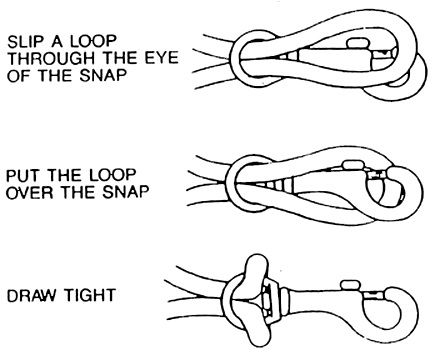 Flagpole clips or snaps are a great way to add a flag to any flagpole rope that's already up. There are no fancy knots needed to attach a flagpole clip to a halyard, so it's an easy process that makes displaying flags a breeze! Ever wondered how to add an additional flag to your flagpole rope? We'll walk you through the easy process! These easy steps are outlined in the diagram below. Once you've attached your first flagpole clip, all you'll need to do is determine where the second clip needs to go in relation to it in order to secure the flag you're hoping to display. Follow the same process to attach the second clip and you're ready to add your flag to the flagpole! Shopping for a set of flagpole clips you can rely on? We've got you covered! At Gettysburg Flag Works, we carry a wide variety of flagpole clips, including rubber coated, stainless steel, nylon, bronze and more! Shop our selection of flagpole clips here! Can't find the clip you're looking for? Not sure which flagpole clip will work best for your flag and flagpole? No problem! Just give us a call at 1-888-697-3524 or contact us online and we'll point you in the right direction! Looking for More Flag How-To Videos? Be sure to check out our video library for more DIY instructional videos related to flags and flag displays! Have questions? Don't hesitate to reach out!